I wouldn't be who I am today without all the drawings, paintings and sculptures. When I was 10 years old, I was stuck at after-school daycare every day. A random teacher would plop all of us students in front of a TV on wheels, and leave us until our parents came to take us home. Some kids would create their own games of throwing their PB&J; sandwiches back and forth, but I stuck to the TV. As time went on, kids stopped paying attention to the same cartoon that was played every afternoon. In all honesty, I was getting tired of it too, so I decided to pause the movie and think of ideas that would fill the time. I grabbed a piece of paper and a pencil, and spent the next two hours drawing what was on the screen. Now, it wasn't anything museum-worthy, I mean I was ten-years-old, but it was the start of my favorite thing in the whole world--art. Soon enough, I escaped the terrors of PB&J; tosses and continued to draw almost every day. I would sit in my parent's bedroom and put on movies from Brother Bear to 101 Dalmatians and just sketch whatever interested me. After this, I tried sketching faces of friends and family, which were definitely not good, but you have to start somewhere. 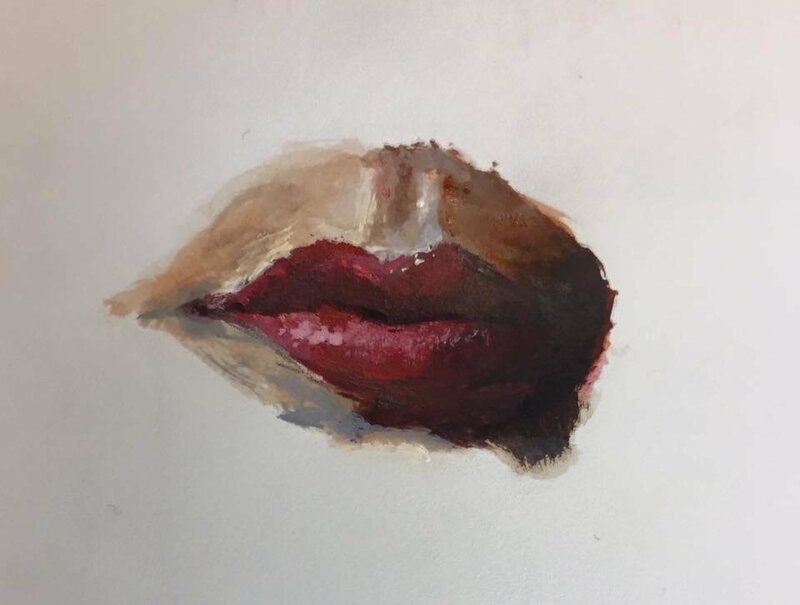 This painting is from 2015 when I was a sophomore in High School. Drawing faces, especially isolating elements of the face, was my favorite thing to practice. There is so much value in the stories behind each person that I draw/paint, which is why I choose to keep making art. One of my most recent pieces, which is pictured above, can show my improvement from 2015 to 2018. 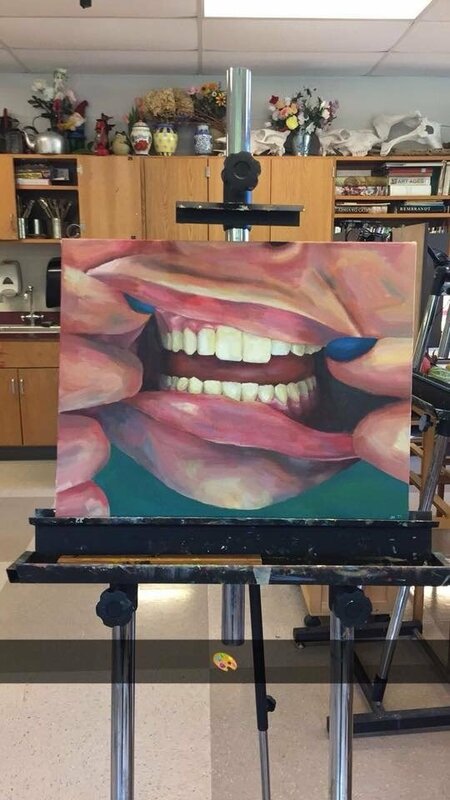 I learned quite a bit about texture and color, and oh my god were those teeth hard to paint. I chose art over everything else because I've never really been that successful expressing myself through words (which is kind of ironic because I'm doing that right now). In other words, art allows me to be one-hundred percent myself, with no rules or expectations attached. My mind runs constantly day/night, but when I'm painting, I'm at ease. Just me, a paintbrush and a blank canvas. I owe everything to art. I have no idea where or who I would be if I hadn't paused that cartoon to draw it. I want to continue to create and share my thoughts on paper and canvas, it is the most freeing thing I have ever experienced.